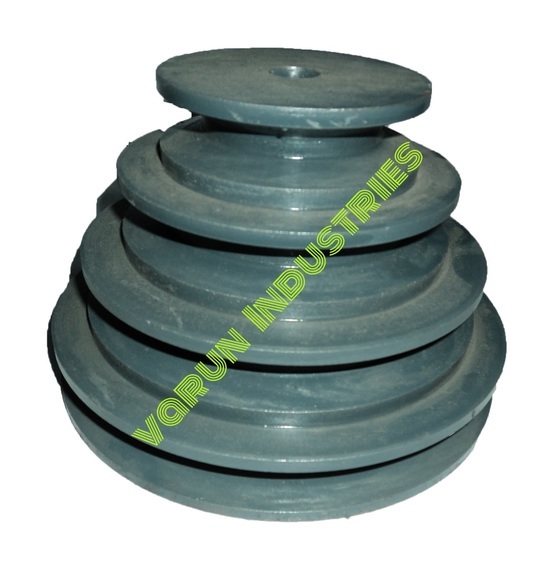 Varun Industries is one of the most rapid growing company in pulley manufacturing. It has 30 years' Exprience. 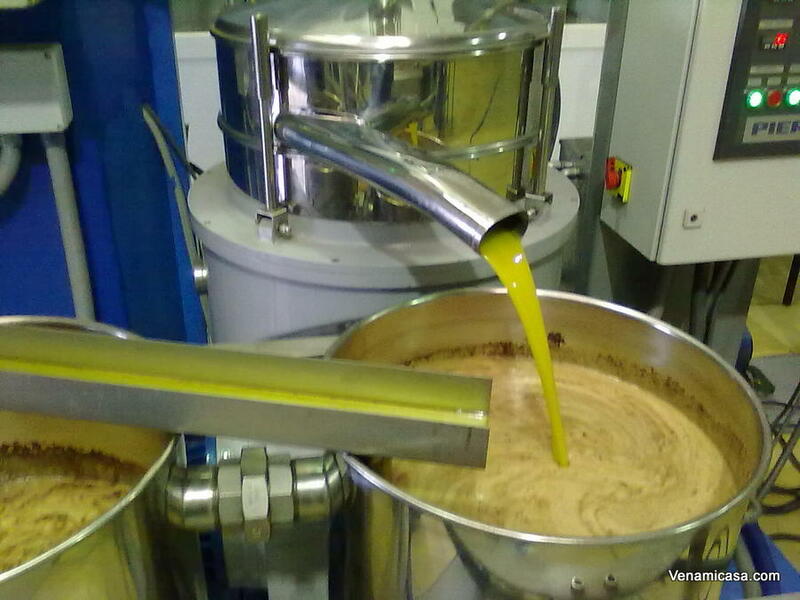 It was established in 1982 with goal to serve good quality products at most affordable rates. 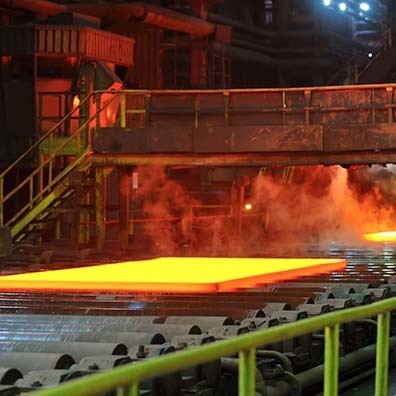 Varun Industries understood that the raw-material for the machine is an important factor to improve the life of the machine, so Mayur Industries decided to have their own captive foundry. 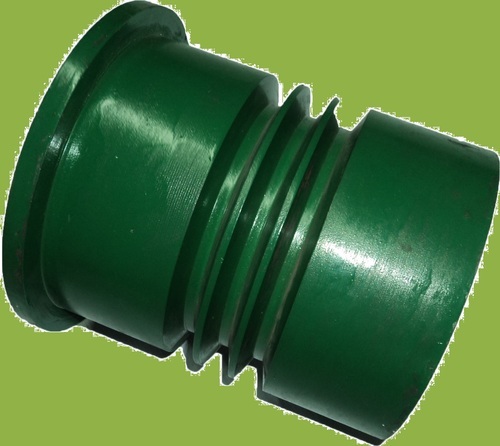 Our Pulley are used in different Industries world wide. 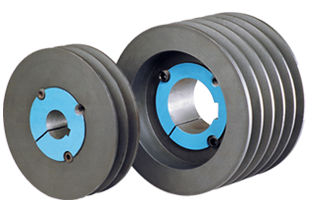 Varun Industries are manufacturing V belt Pulley, Step Pulley, Drum Pulley, Split Pulley, Patta Pulley, Flat belt Pulley, V groove Pulley, Taper Lock Pulley in Ahmedabad, Gujarat, India. 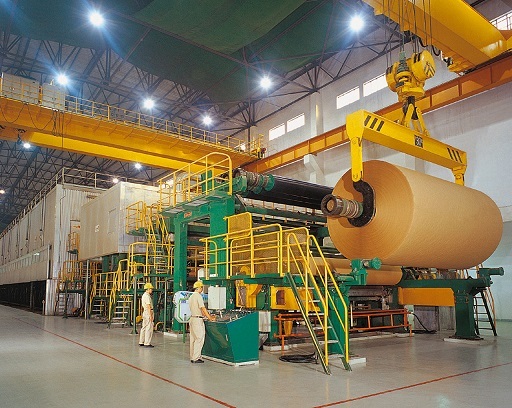 We can design the Pulley on the bases of power to be transmitted , Tenslile & bending stress, Input & Output Speed, Type of driven machine, operational hours per day. 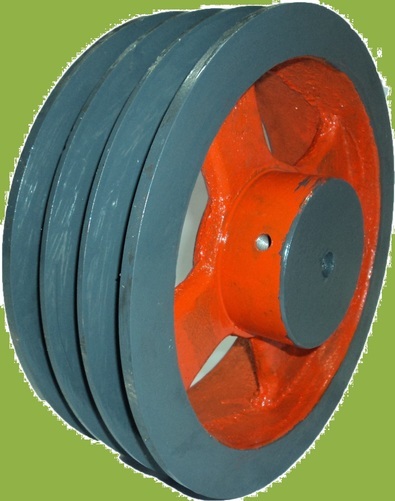 V belt pulley mainly used in Dubai, Mumbai, Kenya, Qatar, Saudi Arabia, Zambia Dubai Taper lock pulley pulley manufacturers Drum Pulley Supplier in Ahmedabad and Rajkot Step pulley Traders Rolling mill pulley, Sugar mill, Moter pulley Taper lock pulley Exporter in india We are suppling pulley in Maharastra, Mumbai, Pune, singapore,thailand, Nagpur Egypt, Banglore, Indore, Karnataka, Drum Pulley in Sangli, Sudan, Egypt, iran Shree Shakti Industries, DHARA INDUSTRIES, B. V. Transmission Industries, Emco Engineering, SUBAKI INDUSTRIES we are manufacturer of Sprockets India, cast iron Couplings, Bearing Pedestal, Gear box, Gear, Bevel Gear, Helical Gear, Paver Gear, Spiral Bevel Gear, Worm and Worm Wheel, Spur Gear, Flexible Gear Coupling, Gear Coupling, Nylon Sleeve Coupling, Chain Coupling, Star Coupling, Coupling Tyre, Helical Gearbox, Worm Gearboxes, Timing pulley, rolling mill pulley, sugar mill, power plant, ceramic plant, gining mill, oil mill, Compressor pulley. our partner are Allwin Transmission, B. V. Transmission Industries, Hare Krishna Enterprise , Rajendra Pulley Pedestal Centre, Emco Engineering, Shree Shakti Industries, DHARA INDUSTRIES, SUBAKI INDUSTRIES, kolhapur, hyderabad. Varun Industries are also a specialized manufacturers of Flat Belt and V-Belt pulley with different specifications. 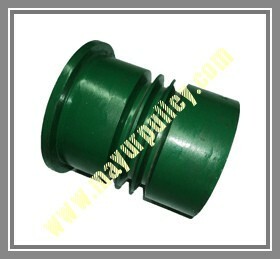 We Manufacture all type of Pulley which fulfills the complete need of customers. 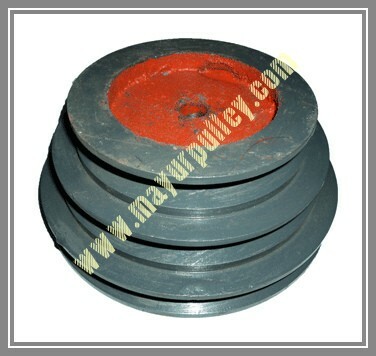 We also design a pulley according to customers specification at economical rate.